Ever noticed how much effect regular workouts and fitness regimes have on your muscles? It’s quite hard when your muscles take the toll for all that vigorous physical activity. Then there’s muscle spasms, cramps, soreness, and strains, which are quite common too. Is there any simple way to relieve the muscles of all this tension and pain? Yes! We're talking about the top roller sticks, of course. Muscle rollers are great for self-massaging and offer you a lot of benefits, that too at an affordable price. So, if you’re looking forward to getting one for yourself, worry not! 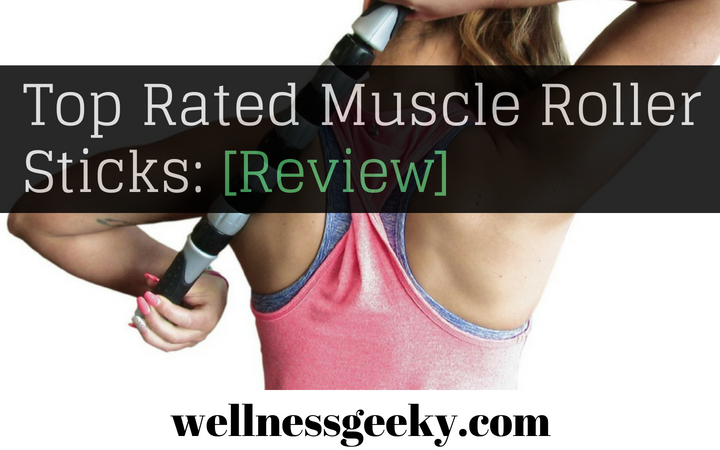 Here’s a list of best muscle roller stick reviews available in the market today. Just go through the article and choose the one that best works for you. How To Choose The Right Roller Stick / Benefits? How to Use Muscle Roller Stick? 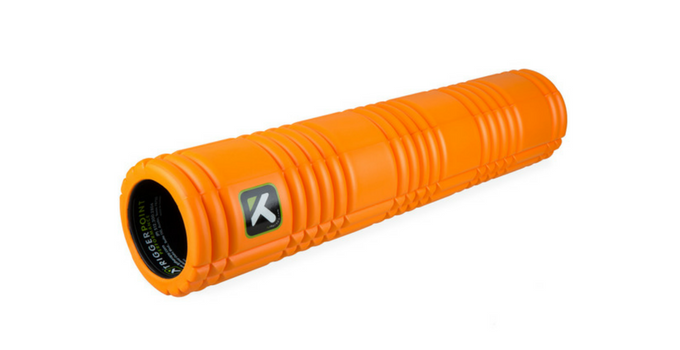 Muscle roller stick vs. foam roller, what works best? A lot of people who are looking to buy a roller have this question in mind. Lure sure does offer a great product that promises a lot of benefits to its users. But for some reason, if you’re scouting for a foam-based alternative, you should probably look at this massage stick review. TriggerPoint’s foam roller comes with a unique patented design, which has an exterior with multiple density levels. Whereas the core on the inside is rigid and hollow, to enable durability and effectiveness of usage. The Trigger Point GRID design of the roller gives the user experience of getting a professional massage by a therapist. It helps to improve blood flow, circulation of oxygen in the system, as well as provide a deep tissue massage, healing them eventually. One of the best muscle roller for runners (stick for runners), TriggerPoint GRID also helps in reducing muscle soreness, increased flexibility, and muscles recovery. The roller comes along with free instructional videos, a manual and a one year warranty period. For those who are suffering from cellulite and looking for a way to get rid of it, this FasciaBlaster could be of great help. The cellulite massager, which was patented by Ashley Black (Author of the Cellulite Myth) is known for its pressure point technology, which helps lessen cellulite appearance in the body. The FasciaBlaster is an amazing tool, not just for the beginners but also people who are experienced with blasters. The blaster comes in an ideal size which makes the movement all the more easier and helps you access different parts of the body. The blaster works well on your thighs, back, and abs and the large size of the claws can impact the adhesions, both on the surface and deeper levels. To use the blaster, you must first heat up the body with a warm shower or sauna, apply some oil and start blasting with upward and downward movements. Let them start off by being light and then turn brisk. You can begin off with 1-minute blasting and slowly increase the time. Using the blaster regularly can help reduce the pain, relieve tension and aid in decreasing the cellulite. It also improves muscle performance, increases the blood circulation in the body and makes you more flexible. 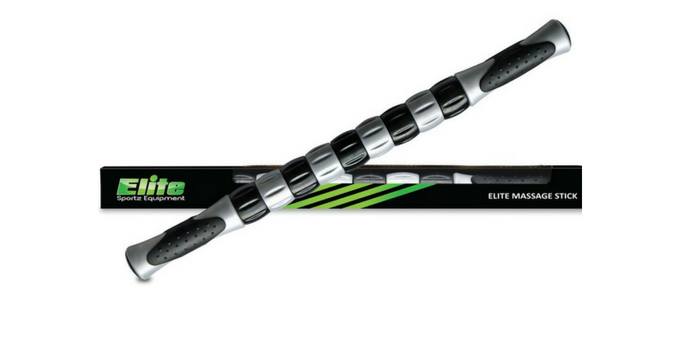 For those who want to target their sore muscles and prevents cramps, Elite’s roller sticks could be a great choice. The massage stick promises to release the tension and relieve the pain very quickly, with only a 5-minute massage at the targeted area. An exciting feature of the roller stick is that you can apply as much or as little pressure as you want on the rollers. This helps control the pain as well as the pressure level based on your pain tolerance levels. The quad rollers present in the stick ensures a smooth rolling action that’s both comfortable and sturdy. That means you don’t have to worry about your hand slipping away like with cheap rollers. The 2mm gap between the roller balls prevents your hair from being pulled on the legs while elite’s myofascial release tool keeps the soreness of the muscles to a bare minimum. It also prevents the muscles from knotting. The roller stick can also be used as a calf massager, that too at your convenience. Since it’s not as big as a foam roller, you can use the stick on your calves, simply by sitting on your couch, lying down or just standing up. The online instructional video URLs mentioned on the package can guide you through the whole process. If you’re not completely satisfied with the roller, you can contact the customer care at Elite Sportz, and they make sure that you get your money back without any fuss. SKLZ’s massage bar is a soft tissue massage tool which works wonders on sore muscles and relieves tension and stress. The brand takes pride in its lightweight nature and portability, which makes it easier for you to carry it along wherever you go. The handles are ergonomically designed, and almost reminds you of bike handles with their unique massage ball bearing and rod system. This lets you have maximum control on the pressure levels and have a consistent feel throughout, despite the size of your hands. The massage bar is compact and perfectly portable, thus apt for being called as a travel stick. It almost fits in any bag and is ideal for you to carry around with ease. Now, there are no more excuses to stay away from your path to recovery. Lastly, the product comes with a 30 days money back guarantee in case you’re not happy with the product. Then there’s a year-long warranty period that the brand provides in case you notice any damage or faults. 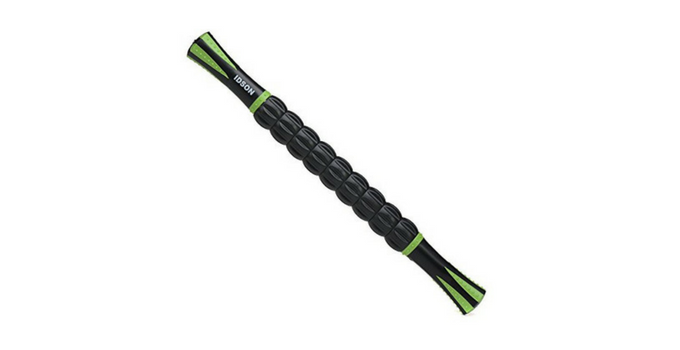 One of the best muscle roller sticks for athletes available in the market today, IDSON boasts of high-quality design, portability and amazing benefits pertaining to muscle pain and tension relief. IDSON’s roller eases muscle stiffness, reduces stiffness and aids in easing the pain in the neck, back, legs, feet, and hamstring. It can be used by athletes, runners, dancers and anyone who happen to have vigorous physical activity in their daily regimes. With regular usage, the roller could improve the blood circulation in your body, help increase strength and reduce the risk of any injury. Coming to the design, IDSON’s rollers are made of extremely durable and high-quality thermoplastic rubber while the polypropylene handles make it for the ergonomic gripping. To give further comfort, the stick has nine independent ABS rollers around a steel core. And it’s compact size, and lightweight enables you to fit it anywhere comfortably. What’s more, the product comes with a 100% replacement warranty. That means, the company is willing to give you back a full refund if you aren’t satisfied with the product, no questions asked. 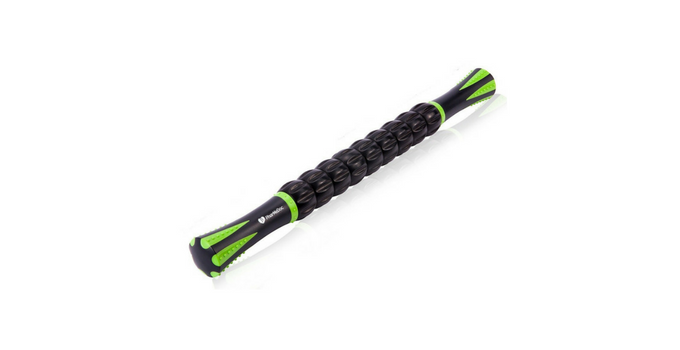 If you’re someone who’s into sports or any other strenuous activity, then this muscle roller massage stick by Supremus Sports could be a good bet. 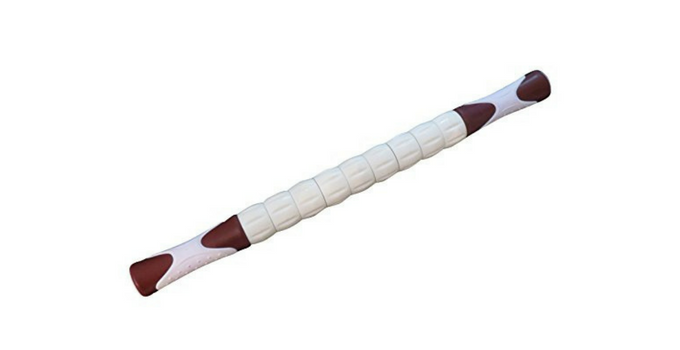 The massage stick is a self-myofascial release bar which works well with your whole body - be it your feet, legs, thighs, glutes, calves, hamstring, hips, arms, shoulder, neck, or back. It rehabilitates and restores tightness and soreness in the muscles, relieves tensions, prevents knots and increases the blood flow in the body. Using the stick regularly can also increase the flexibility. The roller is portable and is ideal for swimmers, for runners, for dancers and for anyone who happens to have a demanding physical activity. It can be quite helpful in preventing injuries when used before and after workouts. Also, you can use the stick anywhere - on your couch, lying down on the bed/floor or even standing up. Another great thing about the roller is that you can control the roller’s pressure depending on how much pain you can tolerate. And the 2mm gaps in the rollers make sure your massaging experience is hassle-free. Despite all this, if you’re still unhappy about the product, you can contact the company, and they make sure that you can get a full refund for the product, no questions asked. If you’re looking for a roller stick that aids you with your physical therapy, then you must give Lure Home Spa Massager a try. The massager works well on your hands and feet, using the techniques of reflexology. The muscle roller stick benefits include acupressure and pain relief. If used regularly, it works wonders in relieving the user of his arthritis pain, carpal tunnel, and hand stiffness. The hand and leg roller stick also give considerable relief to those suffering from plantar fasciitis.The muscle roller stick benefits also include energizing and revitalizing the body, and reduction of stress. It also helps with the flow of blood and reduces inflammation. 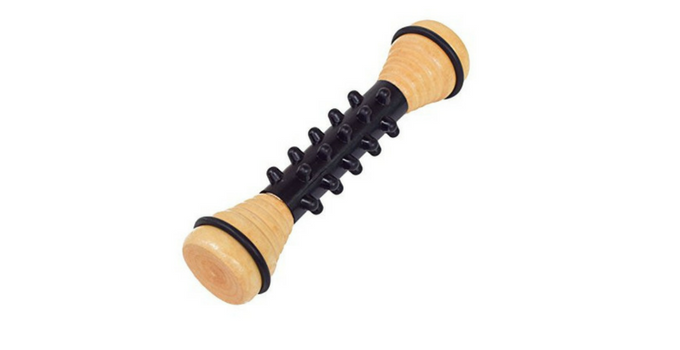 Another interesting thing about Lure’s massage roller is that it can be used in multiple ways - you can roll it on your hand, legs, feet, wrists, arms, and shoulders. And it gives you excellent results no matter where you’re using it. Whether you’re stressed out with extreme physical activity or just came back from a long run, you can count on PharMeDoc’s massage stick to relieve the tension and massage away the soreness of your muscles. 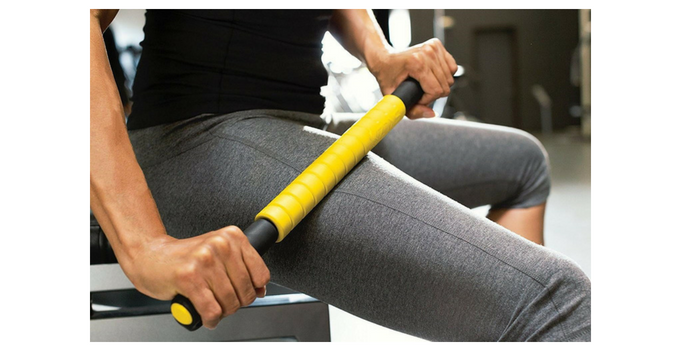 Using this roller regularly can rehabilitate and restore your muscles by tightening them, both before and after the workouts. It works well with anyone – be it an athlete, swimmer, any sports enthusiast, or just someone doing yoga, pilates or CrossFit. Just keep using it often to improve the blood flow, increase flexibility and release the lactic acid buildup in the body. PharMeDoc boasts high-quality build and portability in its rollers along with the lightness in weight, which makes it easier for you to carry it around. The product also comes with a lifetime warranty by the manufacturer, so you don’t really have to worry about any damages to the massage stick. Until now, you’ve read the best muscle roller stick reviews, but you might still have a few questions about how to pick the right stick, or how to use it. The process is pretty simple and is similar to the way you choose any other product. Before you zero in on a product, make sure you identify your need. Some of you might just want to ease the pain while some want to reduce cellulite. So, it is important to know why you want a muscle roller stick in the first place. Then, do your research, look for the massage sticks available in the market that caters to your needs. Read their specifications, pros, cons and user reviews. Shortlist the best ones and then do a deeper study of them. Then you can finally settle on the one that you’re inclined to the most. Most of the muscle roller sticks work in the same way. The ideal usage times are before and after the workouts or physical activity. Just make sure you relax your muscles, and apply the required amount of pressure while rolling them along. Some sticks might suggest applying some heat (maybe a bath, hot pack, or sauna) and oil, before using the stick for optimum results. There are many muscle roller sticks available in the market these days, claiming to ease your pain, relieve stress and muscle tensions. But at the end of the day, the decision lies in your hands as to what works best for your self-massaging needs. In out Tests Trigger Point is the best model as of today! So, have a look at the products in our review and do a bit of research to find out what works for your specific needs. Amazon have cha best proces but you can aslo sho at Walmart, Target or any athletic store. Check the best price below.